Home » Dance » History » Philippines » Pinoy brain » Pinoy Trivia » What is the traditional Philippine folk dance? » What is the traditional Philippine folk dance? What is the traditional Philippine folk dance? 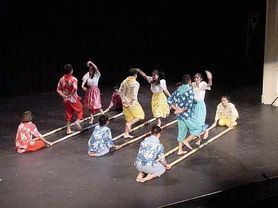 A traditional Philippine folk dance which originated during the Spanish colonial era.The dance involves two people beating, tapping, and sliding bamboo poles on the ground and against each other in coordination with one or more dancers who step over and in between the poles in a dance. It is traditionally danced to rondalla music, a sort of serenade played by an ensemble of stringed instruments which originated in Spain during the Middle Ages.